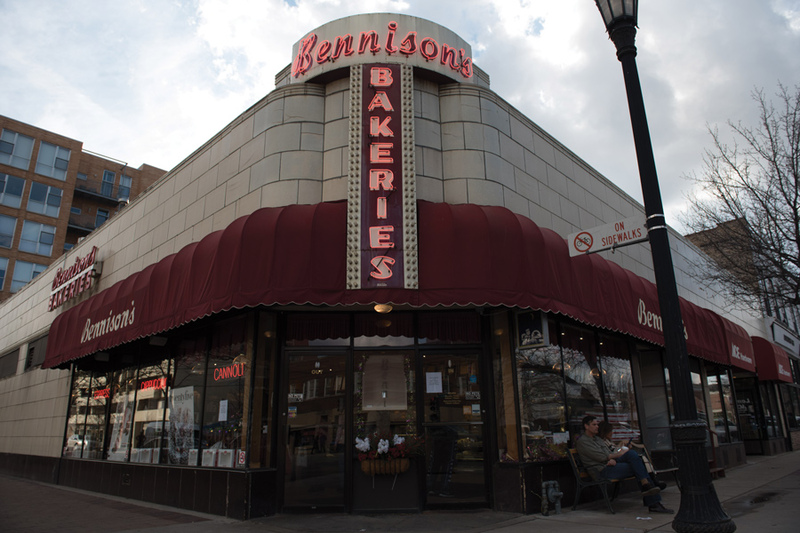 Bennison’s Bakery, 1000 Davis St. Hannah Seiler, an ETHS senior, interned at the bakery over the summer through the Evanston Work Ethic program. The Evanston Work Ethic Program, an initiative that provides technical training and employment opportunities for Evanston Township High School students, is planning to expand in its second year. Nancy Baker, executive director of the program, said the WE Program has secured funding for 15 students and will accept applications through Oct. 21. Seven students participated in the program last year. Hecky Powell, owner of Hecky’s Barbecue, founded the WE Program to teach local students marketable skills and help them secure well-paying jobs. The program was launched with help from the Evanston Community Foundation and the Evanston Chamber of Commerce, Powell told The Daily in February. Powell, who grew up in a working-class family, said he wanted to provide quality alternatives to the traditional college path. The first class of mentees were chosen from 31 total applicants, he said. Baker, who runs the program’s day-to-day operations, said the directors tried to match students with professionals in industries the teens had interest in. She expressed frustration at the myopic “college or nothing” attitude she said pervades the Evanston community. Baker said that since the decline of American manufacturing in the 1970s, people have held the outdated view that college is the only viable path for students. She pointed to German and Japanese companies that have achieved great success in high-tech manufacturing by coordinating with high schools and technical colleges to fill job vacancies. Evanston, she said, should follow their example by treating job-training programs with more respect. “We find it ironic that in a town that says so much about diversity … that we should only think one thing about what success means for a young person,” Baker said. Avontay Coleman, an ETHS senior and member of the WE Program, emphasized the importance of learning usable skills during high school. Coleman said he plans to apply to the Chicago branch of Year Up — a skills training program — after he graduates. He said he wants to eventually work as a programmer at a video game company. Hannah Seiler, an ETHS senior and program member, said she began baking for classmates during her sophomore year and quickly developed a passion for all things pastry. When her culinary arts teacher informed the class about the WE Program, Seiler jumped at the opportunity. The WE Program helped Seiler secure an internship at Bennison’s Bakery in Evanston, where she got hands-on experience in a culinary environment and learned to make syrup, use pipe stacks and frost cakes. Seiler said the program has helped prepare her for future endeavors. “I know I’m going to go back to school and get my associate degree in baking and pastry, and I’m going to get a degree in hospitality as well,” she said.